Got a punim? Share your smile with the whole mishpacha and let your picture speak for itself as you invite your loved ones to share your big day with you. 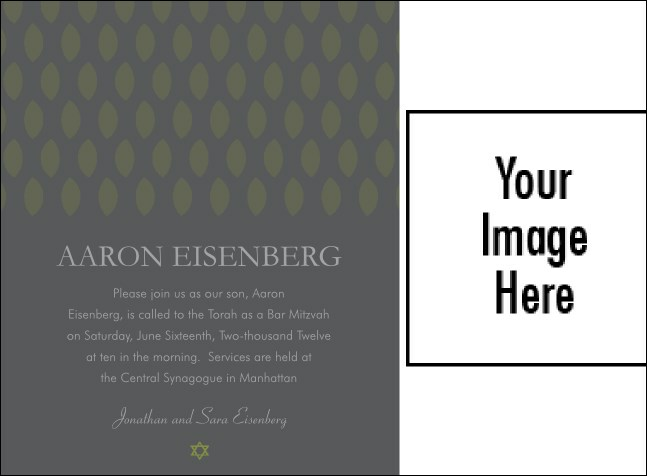 The Bar Mitzvah Portrait Green Invitation is simple yet sophisticated, making just the right statement as you move into adulthood in the eyes of your community.